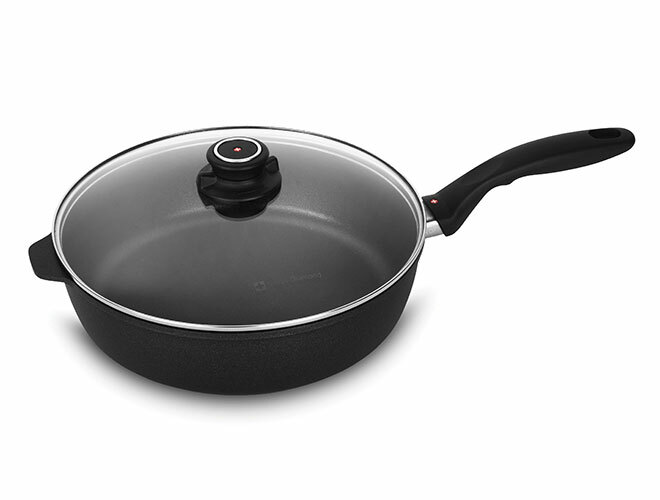 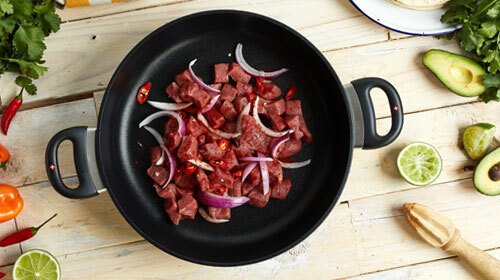 The Swiss Diamond XD Nonstick Saute Pan is perfect for meat, vegetables, sauces and more. 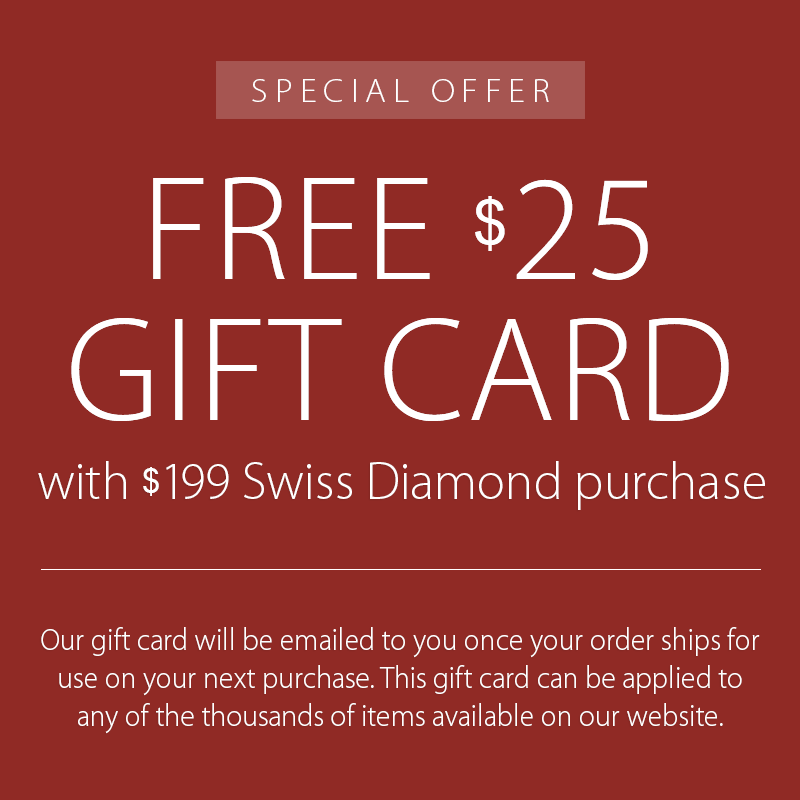 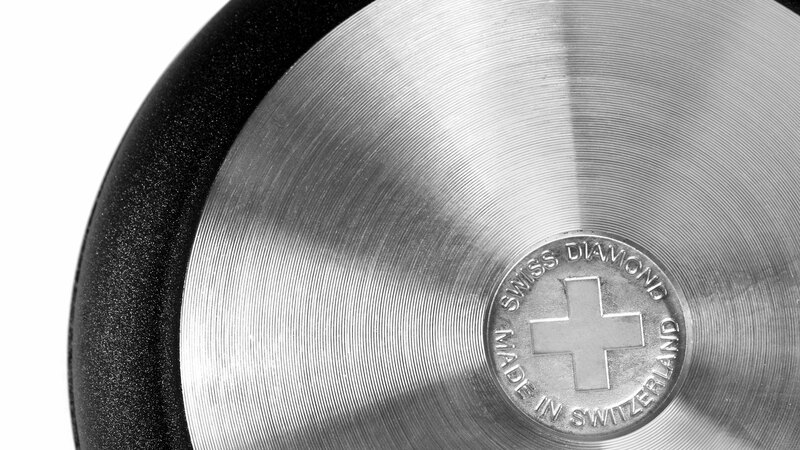 Swiss Diamond XD is produced using a new coating formulation developed in Switzerland. 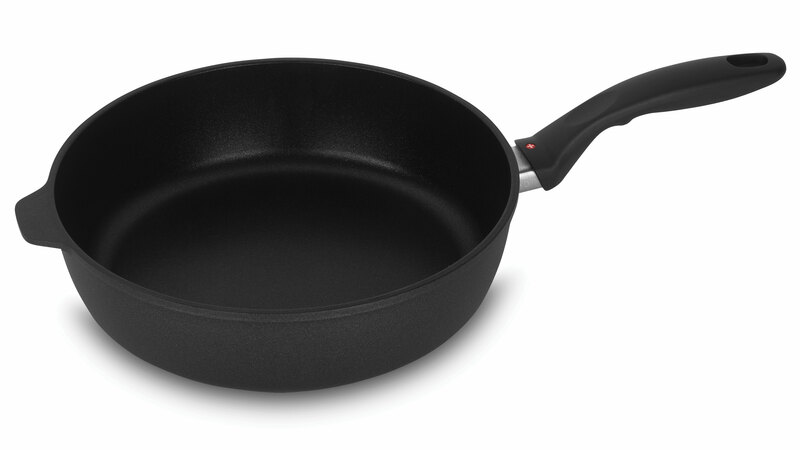 The result is a significantly tougher cooking surface with even better food release properties. 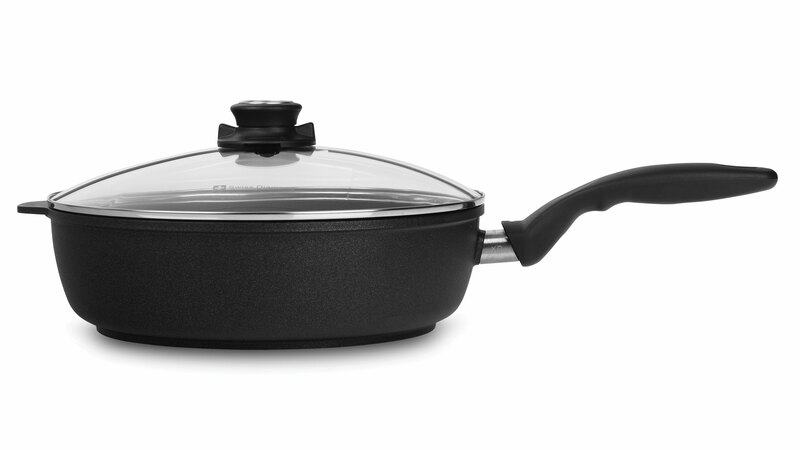 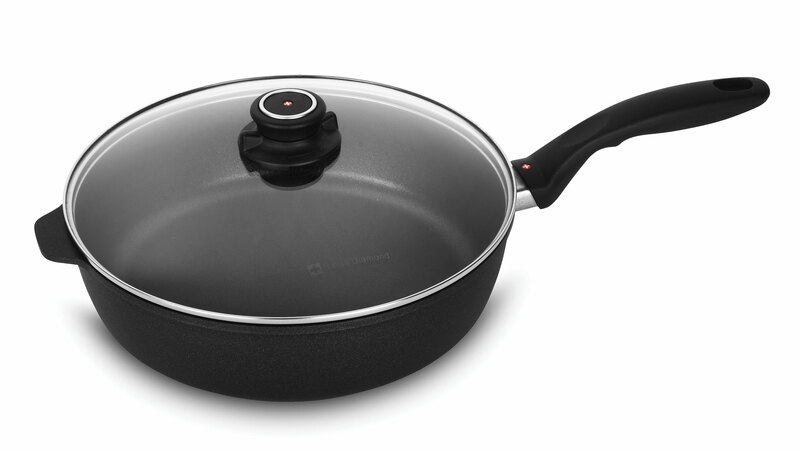 Features 3-layers of Swiss Diamond nonstick diamond coating, layer of Plasma coating, and alloy aluminum layer. 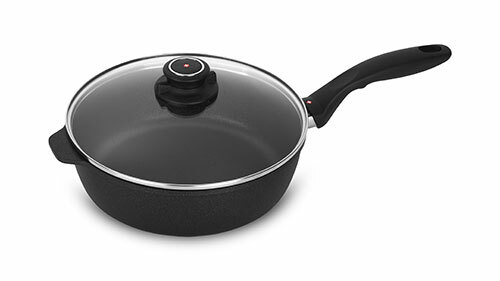 Swiss Diamond XD is the result of many years of research and development using not only a new nonstick diamond reinforced coating formulation, but also an advanced production process. 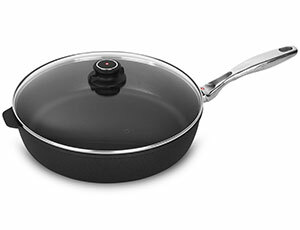 The Swiss Diamond XD nonstick coating formula contains 20% more real diamond crystals than HD. 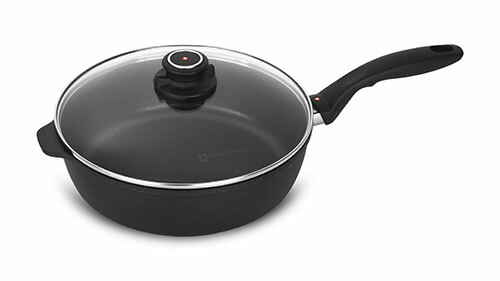 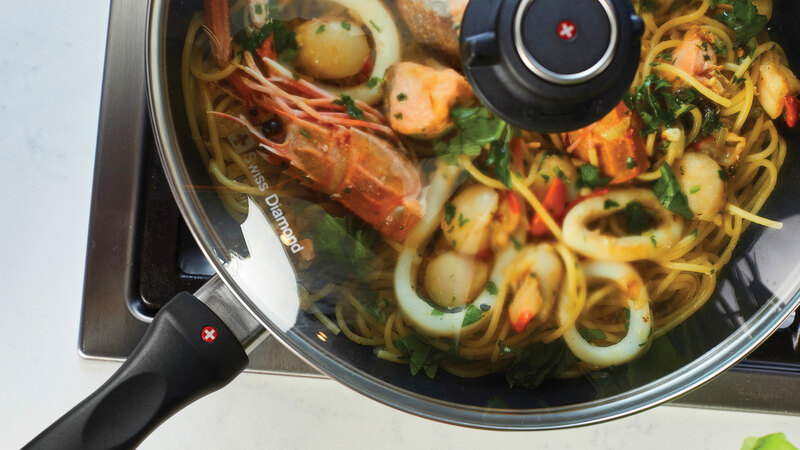 The advanced formula is applied using new proprietary technology and features a significantly improved seal between the cooking surface and the aluminum base. 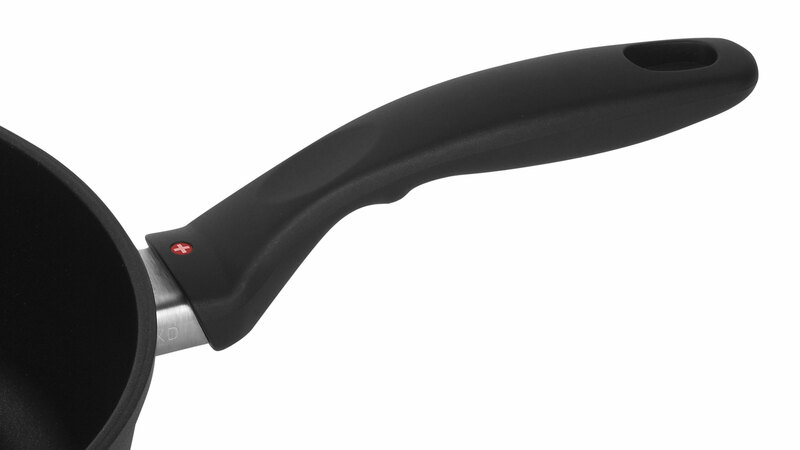 This creates a tougher, more corrosion resistant layer for a 40% increase in durability over HD with 40% better food release. 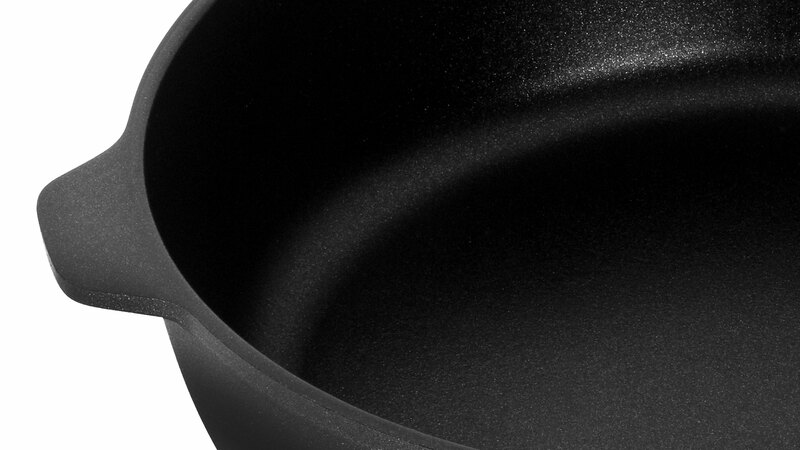 Dishwasher safe, hand wash recommended.